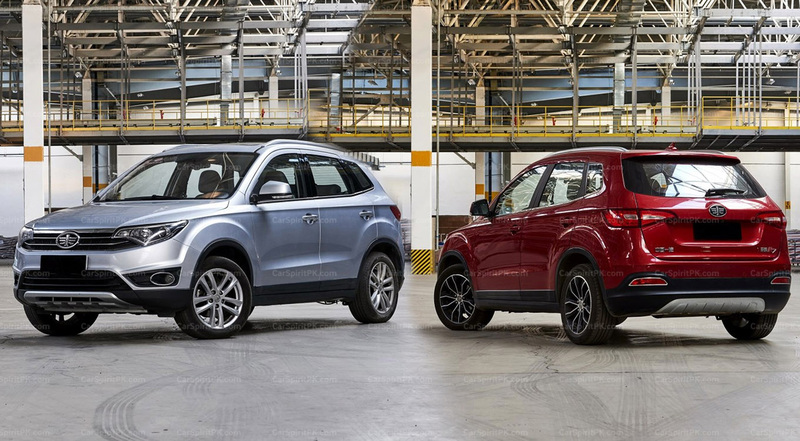 The R7 SUV has been one of the most successful vehicles for FAW in China in terms of sales. Placed under FAW’s Senia (Xenia) sub-brand umbrella, the R7 SUV was launched in May 2016 and sold more than 43,000 units in 2016 (7 months from May to December). In the following year 2017, FAW R7 saw even more success as it sold 61,617 units in the land of Dragons. While in the first 2 months of 2018, the company has already sold more than 8,000 units of the popular SUV. 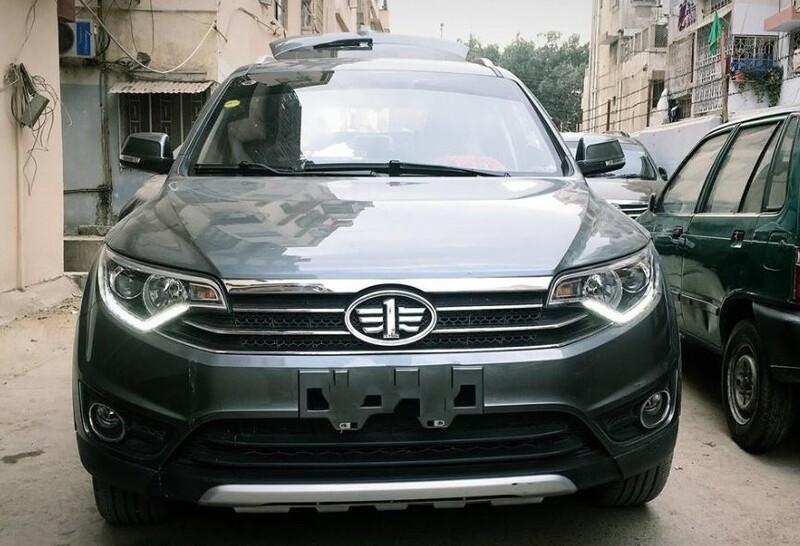 The FAW Senya R7 SUV is the hot topic these days after it came into sight being tested on the roads of Karachi. 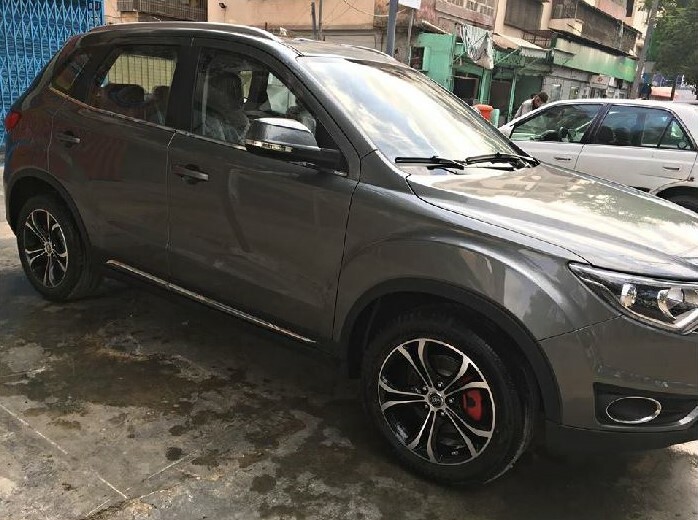 As usual, cars in Pakistan are typically launched when they already completed their tenure in the global markets; on the other hand Al-Haj FAW is swift to take home the new R7 SUV that was presently launched in China earlier this year. In view of the fact ,the car is now on the threshold of its possibility to be launched in our country, here is a few comprehensive information you need to know about the upcoming SUV. Exclusive of any uncertainty the R7 is an excellent looking SUV with smooth headlights, a full-sized FAW winged logo on the grille, black claddings & skid pads and chrome in the region of fog lamp housing. At the rear the R7 has fashionable tail lamps, chrome inflection in the region of reflectors, rear windshield wiper, roof rails and a shark fin antenna. There is slight use of chrome in a variety of other areas which strengthen the visual feeling of the vehicle. The R7 is dimensionally a little bigger than the Suzuki Vitara. Measuring 4300/1780/1650mm with a wheelbase of 2590mm, it is longer, somewhat wider and taller than the Vitara that measures 4175/1775/1610 and has a wheelbase of 2500mm. Coming to the interior. The R7 comes with a choice of two interior color choices that id dependant on the trim level. The top-end versions acquire a large touch screen in the center of dashboard, whereas the low-end trims has a non-touch screen that can be operational by a controller. Prominent features consist of a multi-function steering wheel, engine start/ stop button, electric parking brakes, climate control, integrated Bluetooth, IMID display, rear reclining seats and sunroof etc. The Senya R7 comes equipped with a 1.6 liter (1598cc) CA4GB16 four-cylinder DOHC petrol engine with 109hp and 155nm, mated to a five-speed manual or a six-speed automatic gearbox. 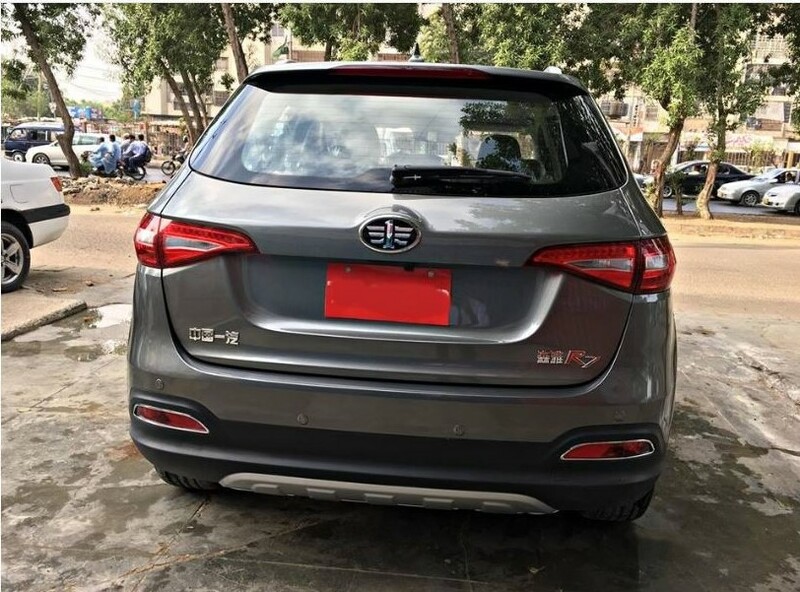 Lately FAW has also brought in a 1.5 liter turbocharged variant in China but it is probably not making its place here in Pakistan. As per FAW the fuel consumption is rated at 15.4 km per liter. furthermore the 1.6 liter CA4GB16 engine meets Euro V emission standards. Roof rack, Trip computer display, Parking sensors, Daytime running lights, Headlight height adjustment, fog lamps, Engine start/ stop button, GPS Navigation, Bluetooth & USB input etc. The price of Senya R7 in China ranges from 66,900 yuan (PKR 10.5 lac PKR) and sores as high as 99,900 yuan (PKR 15.68 lac) for the fully loaded version. Nevertheless the predictable price range in Pakistan would be from PKR 20.5 lac for the base model and PKR 23.9 lac for the fully loaded version. The FAW R7 SUV has speculated a marvelous accomplishment in China. From the time of its launch in May 2016, FAW has sold above 82,000 units of R7 in China, averaging around 5,000 units a month. If it has a price of PKR 2.0 million in that case the R7 stands a good chance of achieving success in our market bearing in mind the truth that comparable vehicles for example Suzuki Vitara and Honda HR-V are quite above PKR 3.0 million. So do you believe that the FAW R7 will get all the boom? Let us know with your comments and stay tuned to Autodeals.PK for more updates on the FAW R7 launch.